Home » Blog » Education » Can technology reduce teacher workload? Can technology reduce teacher workload? Teacher workload is one of the most common factors cited as the reason for teachers considering leaving the profession. So what can education technology (edtech) do to address it? In response to significant Government lobbying by teachers and unions in October 2014 the Department for Education launched the Workload Challenge survey. By November 2014, over 43,000 teachers had responded giving their suggested solutions to workload issues, showing the potential scale of the issue. Citing what works well, teachers responded that the ‘use of specialist software for marking, tracking and data requirements’ was a solution to reducing workload. Following on from the Workload Challenge, I was commissioned by Advanced Learning to write a short report on the potential role of edtech in reducing workload. 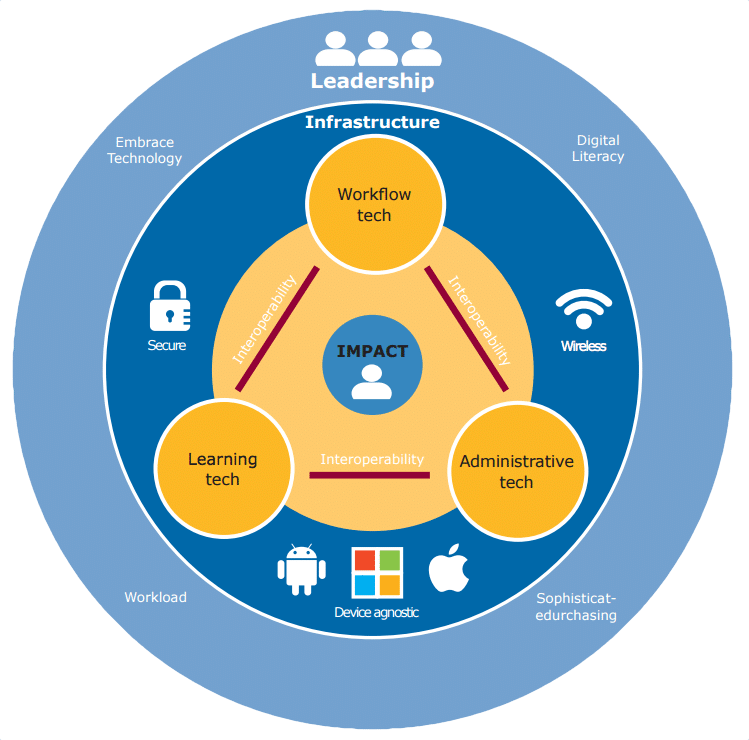 The report “Can technology reduce teacher workload” focusses on the key barriers that are holding back edtech innovation and its potential to have an impact upon workload. It highlights potential solutions to overcome them using a joined up approach from teachers, schools, government and developers. The report questions why, in 2016, with the advanced technology and data management resources in many sectors, education has in some ways been left behind, with many teachers still being required to duplicate manual data entry. The report challenges existing MIS providers and developers to allow greater interoperability with the data they silo. Improving interoperability will catalyse innovation, helping to build an integrated, marketplace based edtech ecosystem focussed on driving impact. The report also highlights the improvements that can be made in UX design, school technology infrastructure and in sector leadership and digital literacy to build an impactful education technology ecosystem. Can education technology reduce teacher workload? This report was commissioned by Advanced Learning.